Fishing Sim World is the most authentic fishing simulator ever made and is going to take you on an angling journey like no other. 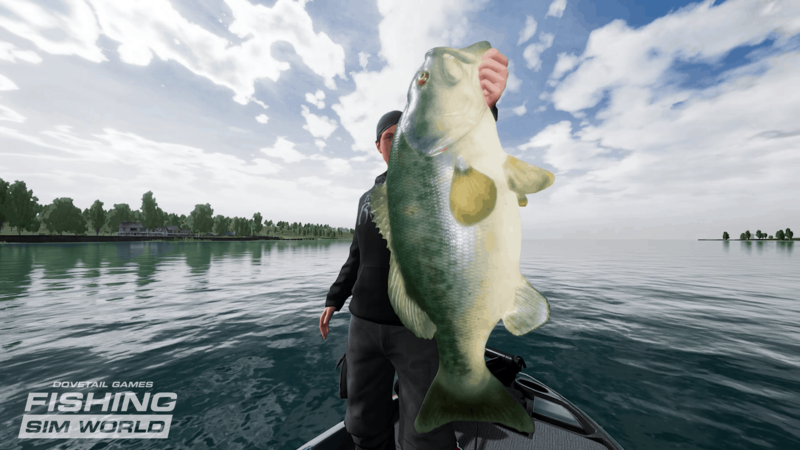 Feel the adrenaline rush of landing trophy sized largemouth bass and the thrill of fighting huge carp and monster pike as perfectly combined realistic game physics and accurate fish AI create an authentic experience that will have you hooked from the start. Whether you’re a beginner or an experienced angler there’s something for you to enjoy in Fishing Sim World. 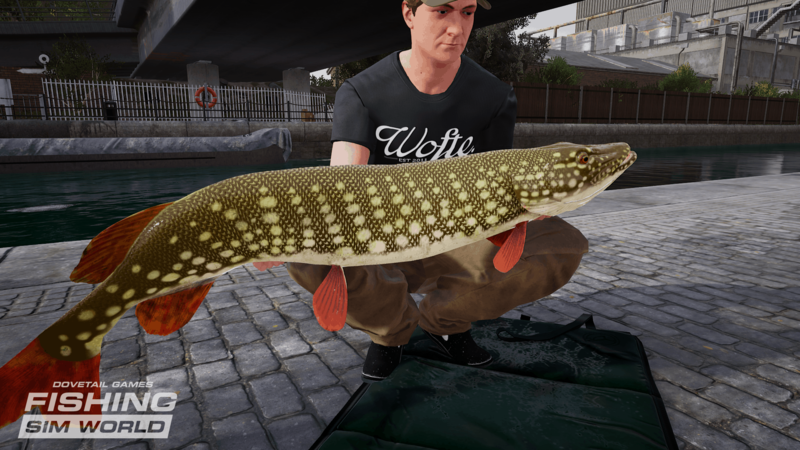 Fishing Sim World launches with eighteen different species of fish including largemouth and smallmouth bass, carp and pike all with their own unique AI and behavioural systems. To help you successfully catch each species there are hundreds of items of equipment to choose from with thousands of combinations to create. Target the bass by using spinning or baitcaster rods and reels from Duckett Fishing and Fitzgerald Fishing. Equip your reels with line from Fitzgerald or Sunline and select the correct lures or baits from Nichols Lures, Missile Baits and Bill Lewis (Rat-L-Trap). Target carp with equipment from leading names including Korda, RidgeMonkey, Mainline Baits and Delkim. Not only do the fish behave differently, reacting to water temperature and bait choice but the dynamic weather also plays a huge role in where the fish will be. You will need to ensure you choose your strategy and location carefully depending on the conditions. Fish at your own pace, find your perfect set up but be prepared to change tactic as the weather does! 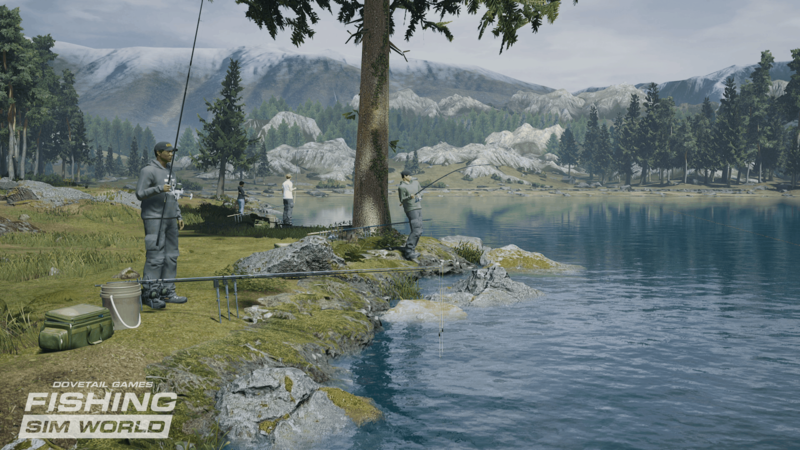 There are seven different destinations awaiting you in Fishing Sim World varying vary from huge North American Lakes to picturesque venues in Europe. Each present their own challenges and require different tactics, equipment and angling skills to master. The venues featured include the sun drenched Lake Johnson in Florida and the glacial Lake Boulder in upstate New York, both of which are over 2000 acres in size with endless different spots to try to catch trophy fish from. 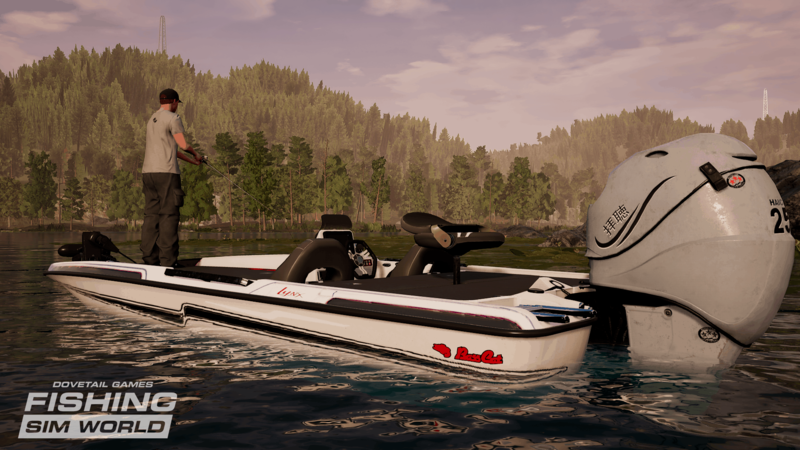 Of course, a lake that size needs a boat to get around on and Fishing Sim World features three high powered models including two from our licensed partner, Bass Cat Boats. Drive at speeds in excess of 70mph, activate your Sonar and find a perfect spot to fish. In Europe, you will find France’s legendary Gigantica Main Lake that has been replicated in stunning detail and contains all of the known boss fish including the incredible ‘Fudgies’ weighing in excess of 85lb! A challenging stretch of the UK’s Grand Union Canal awaits and is home to some monster predator fish including big, powerful pike that will test your set-up to the limit. Finally, we have Manor Farm Lake (from the leading day-ticket water complex in the UK, Linear Fisheries) Waldsee and Bergsee which are our three favourite lakes from Euro Fishing. 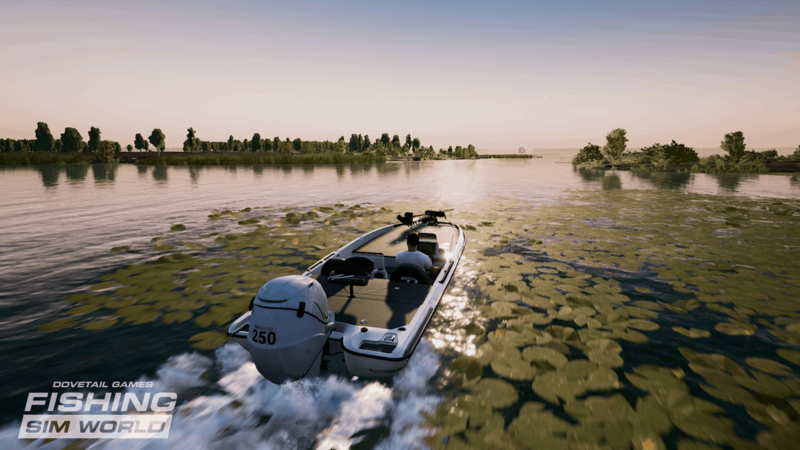 These venues have been remastered to not only look even more stunning but now feature a larger number of species to catch, new and bigger boss fish to target and all of the new equipment and styles of fishing to try and land the lakes monsters. Fishing Sim World reflects the competitive element of this great sport, allowing you take part in live tournaments against opponents from around the world. Featuring the launch of ‘The Dovetail Fishing League’ (DFL) players can compete with fellow anglers across the world in individual events for the glory of being crowned ‘Angler of the Month.’ The DFL consists of multiple events split across four different series. Each of the series has its own season leaderboards with points earned added together to determine your position in the Global Season Leaderboard. 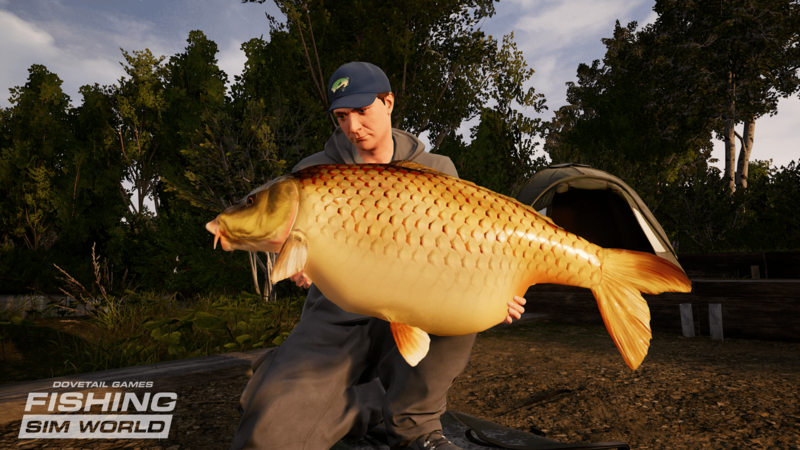 Players can also opt to fish with friends in 4-player multiplayer (8 for PC), comparing catches on real-time leaderboards as well as communicating via text chat on Steam and voice chat for console. So whether you’re trophy bass hunting in the USA, spinning for a monster pike in England, or sat by the side of a peaceful French carp venue waiting for that catch of a lifetime, there will be something for everyone.